For Kyle’s 9th Birthday he got Halo Mega Blocks and a Kindle Fire. 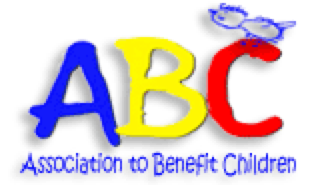 The Association to Benefit Children got $102.50. | ECHOage - Get great gifts. Give to charity. ← For Brielle’s 9th birthday she got iPod accessories, books and clothes AND Make-A-Wish got $132.00. For Kyle’s 9th Birthday he got Halo Mega Blocks and a Kindle Fire. The Association to Benefit Children got $102.50. Kyle feels good when he helps other children. That is why he chose to support The Association to Benefit Children for his 9th birthday party which he celebrated at the beach with friends and family. “When mom read me the different charities on the ECHOage site, The Association to Benefit Children sounded really good because it helps abused and neglected children. 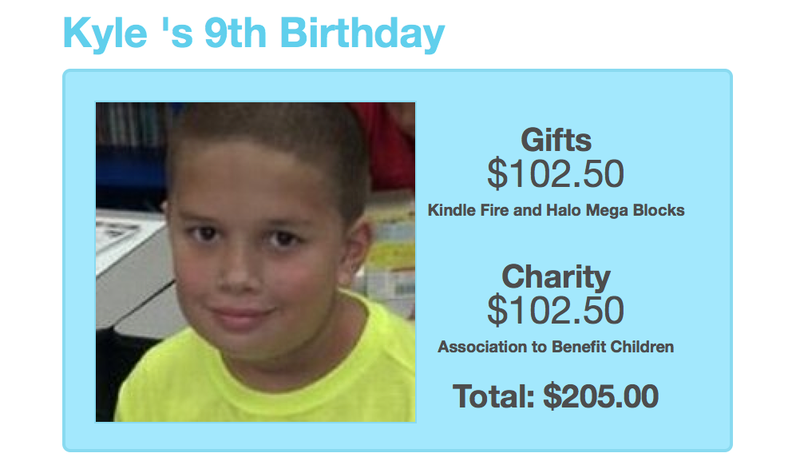 It is sad to think about kids being hurt and I want to make sure that doesn’t happen anymore.” While helping children, Kyle also got the birthday gifts he has been dreaming of: A Kindle Fire and Halo Mega Blocks. 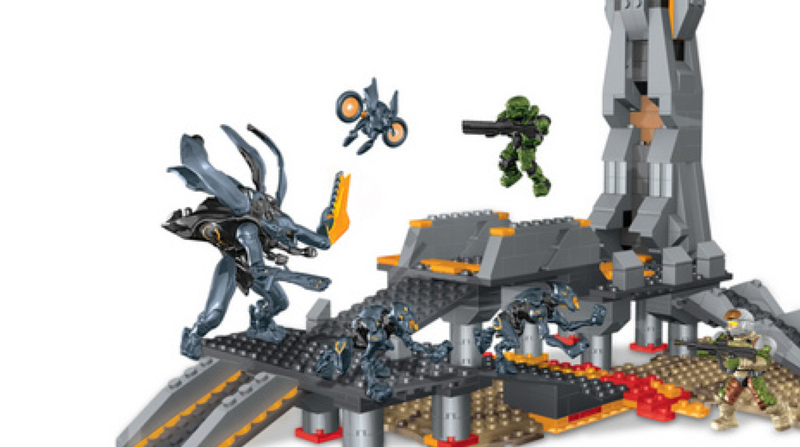 “Halo is one of my favorite toys! I wanted a tablet because it’s cooler than a phone, and there are apps and fun things I can play on it.” Kyle told us that it makes him feel very good inside to know he helped other children. Kyle, it makes everyone at ECHOage feel good inside to know you’re leading the way for a new generation of kids who will celebrate their birthdays while thinking of others. Happy Birthday, special boy! You turned 9 and made a real difference in your world.